Black Friday and Cyber Monday will likely be the biggest shopping days of 2018. 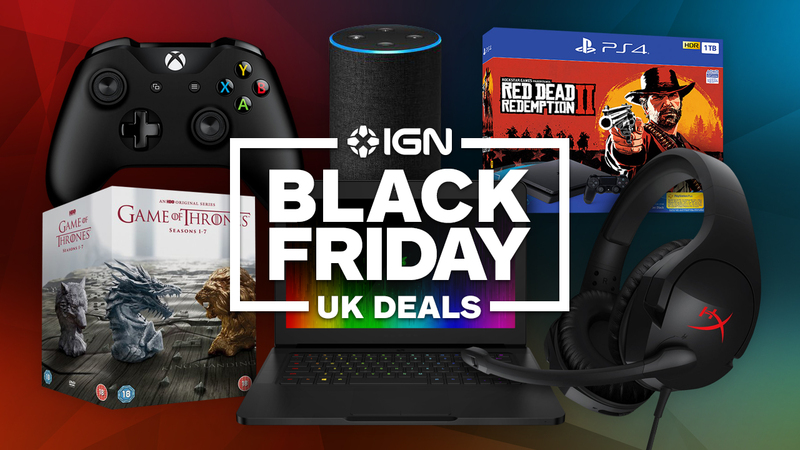 Here’s everything you need to know, early Black Friday deals and how to get your hands on the best deals. Black Friday and Cyber Monday are the biggest shopping days of the year and they are just around the corner. The official event occurs on the last Friday of November, 23/11/2018, and will last through to Cyber Monday, 26/11/2018. Last year, Black Friday related deals lasted for around three weeks and I’m predicting Black Friday related deals to last the whole month of November this year as the world starts adapting to the massive craze that is online shopping. Customers are also beginning to use this sales bonanza to pick up their Christmas gifts which is somewhat an inevitable chore when December comes around, so make sure to keep your eyes peeled not just for yourself, but also your loved ones. Use our exclusive discount code IGN4 to receive a redeemable digital key for Red Dead Redemption 2 instantly in your e-mail address on day of release for just £46.65. To put this deal in perspective, an Xbox One Digital Key for Red Dead Redemption 2 is currently listed for £59.99 at Amazon. Grab 6 months of Xbox Live Gold for the price of 3. What to Expect From This Year? Black Friday is also home to the best 4K TV deals, as AO, Amazon, John Lewis and Currys PC World tend to compete with each other for the best TV deal. I saw the LG OLED C7 65-inch 4K HDR OLED TV go for £2499 at Currys PC World, which meant a whooping £1800 off list price. If you’re in the market for a TV, Black Friday is the best time to pick up a deal. Amazon Prime members get access to lightning deals (the ones that sell out first). You can sign up to a free 30-day trial membership or pay for one month of Prime for only £7.99 (click see more plans) if you don’t want to commit to a one year membership, which costs £79. A lightning deal is a promotion in which discounts are offered on an item for a short period of time, and usually with limited stock. Follow either of our social pages (Facebook / Twitter) to get a comprehensive list of lightning deals released by Amazon. The best ones will go up on this page.